Today, I thought I’d share a sample from The Stagecoach Bride that Stephannie Beman and I are working on. We are almost at 40,000 words now (Chapter Fourteen), and this has been such a fun book to write. It’s amazing how the story shapes as we’re going along. What the hero says and thinks in the book comes from her, and what the heroine says and thinks comes from me. We write this book while chatting, so we get to have our characters respond immediately to what the other says. I’m going to post the first chapter. I tried to decide which segment of chapter 1 to post, but I couldn’t decide where to take the sample from so I am going to post the whole thing. Tomorrow, I announce the winners of the Regency giveaway, so maybe on Tuesday or Wednesday, I bring Lillian (the heroine) and Mic (the hero) in for an interview. We’ll see how things go. The bandit referred to as “first man” (the one who rides with Lillian) is Mic. He’s also the one who opens the stagecoach door. What was she thinking when she agreed to be a mail-order bride? 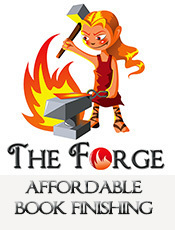 Lillian Christian rubbed her head, willing the persistent pounding away, but it was no use. After days on the a couple different trains, she thought the stagecoach would be a refreshing change. Instead of being stuck in a small seat in crowded train car, she only had one companion, a young lady sitting next to her. She met her as they paid the fare for the rest of their trip. The final stretch of her journey should have gone faster than the rest of it. She had come all the way from Ohio, after all. But the stagecoach ride seemed even longer, and the constant swaying from side to side, didn’t help. She picked up the drawstring purse that had fallen off her lap. Her hat almost fell off, so she quickly straightened up and adjusted the pins so the hat would stay firmly on her head. “That’s a remarkable shade of red,” Maggie said. “Yes,” Lillian replied, amused by her enthusiasm. She wished she could share it, but starting a new life wasn’t going to be easy. Not that she had anything worth going back to, but that didn’t matter . “I came to marry Charles,” she struggled to remember his last name, “Gray.” Right. It was Gray. His name was like the color of storm clouds. She didn’t know why she came up with that analogy, but it was the first thing she thought when she answered his ad. Her heart went out to him when she read about his deceased wife and three-year-old son who needed a mother. How could she not come out for a struggling rancher with young son? Before Lillian could assure her that bravery had nothing to do with it, a gunshot rang through the air. The two women shrieked, ducking from the windows as another gunshot echoed. “What’s going on?” Maggie asked, fear in her voice. The two huddled together as the stagecoach came to an abrupt halt. Horses neighed, men shouted, gunshots were exchanged. The whole thing was terrifying, and all Lillian could do was squeeze her eyes shut and hold a shaking Maggie who prayed that they’d somehow survive this attack. Lillian stiffened at the gruff voice that came from behind the stagecoach. Goodness! Did he mean her and Maggie? She dared a tentative peek out the window and saw the man, along with a few others, pull up beside the stagecoach. They had bandanas over their noses and mouths. Their hats were lowered over their eyes. It was impossible to even tell what they looked like, but they had their guns pointed at the driver and the gun man who was supposed to protect them along this untamed wilderness. Judging by the fact that there were five attackers, she suddenly didn’t feel very protected. Two men against five? Those weren’t good odds. “Throw your guns aside!” the attacker repeated, impatience in his tone. “You have something we want,” a second man yelled. Lillian gulped. What did he mean by that? Between her and Maggie, they were just two helpless women. 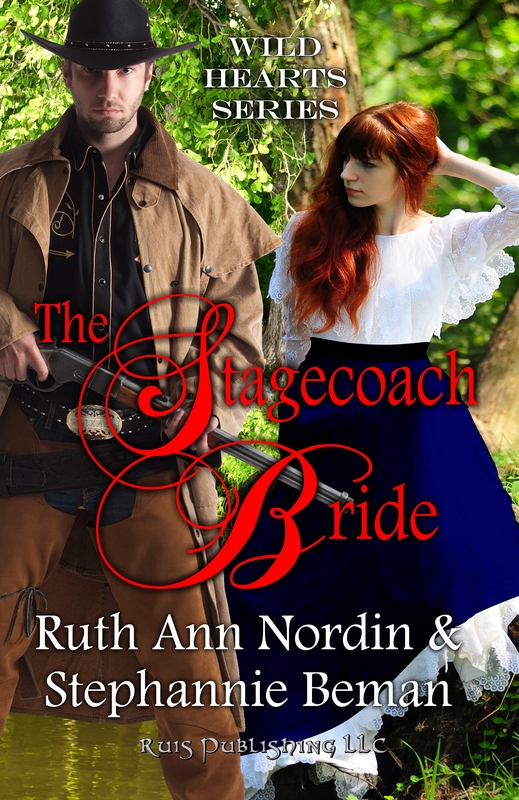 She shivered and held onto Maggie who was huddled on the floor of the stagecoach. She closed her eyes, willing the driver and gunman to give the men whatever they wanted so they’d go away. “What’d ya want?” the gunman demanded. Lillian held her breath, both hoping the driver and gunman wouldn’t and that they would. She didn’t know which was the better option. But in the end, she heard two heavy thuds on the dirt and knew they had dropped their guns. She squeezed Maggie. Now the attackers would come to get whatever they wanted. She just hoped they would take their things and let them continue safely on their journey. But she didn’t hear the sound of someone hopping on top of the stagecoach to grab the trunks. Instead, the door flung open. She let out a startled cry, her eyes flying open. A huge man stood before them, the wind blowing his duster. Her eyes went to the revolver in his hands. Beside her, Maggie cried and buried her face in Lillian’s shoulder. Surprised by the tenderness in his tone, her gaze went from his gun to his eyes, the only feature she could see on his face, thanks to the red bandana covering the rest of him. “I need you to come out of the coach now,” he continued, his voice soothing. Though she sensed a struggle in his stormy blue eyes, as if he wasn’t happy to be doing this, she gave a slight shake of her head and tightened her hold on Maggie. “Everything will be alright,” he urged, extending his hand forward. Charles Gray? His missing bride? Lillian’s lower lip trembled. They wanted her? But why? She couldn’t recall upsetting anyone. The second man rolled his eyes. “This is taking too long.” He urged the horse toward the back of the coach where Lillian heard him pull at the ties holding the luggage. She wanted to ask the first man why the second one was going through the luggage when they said they came for Charles Gray’s bride—her. Oh God, what did they want to do to her? And why? Lillian glanced at Maggie and swallowed the lump in her throat. Still holding to each other, the two women emerged from the stagecoach. Lillian’s knees felt unbelievable weak and had she not been leaning on Maggie, she would have collapsed on the ground. She glanced at the driver and gunman who were still as a stone while one of the men pointed a gun at them. She couldn’t blame the driver or gunman. They were as helpless as she and Maggie were. “Hurry up!” another one of their attackers hissed as he scanned their surroundings for any sign of trouble. A loud thud, followed by another, drew her attention to the luggage. Another bandit joined the second man and gathered around the luggage and ripped into them. She wanted to protest, to plea with them to stop because that was all she and Maggie had, but her throat constricted. She could hardly breathe, let alone talk. The others stopped looking through the baggage at her outburst. He tried to force her hands behind her back, but she kicked at his shin, gaining enough advantage where she could gave him a good whack across his head. He reached for her hands, but she fought against him with everything she had, her arms flailing, hoping she could scratch him or remove his bandana, but she only managed to knock off his hat, revealing dark brown hair pressed down with sweat. Encouraged, she grabbed a fistful of hair and pulled as hair as she could. Letting out a loud roar, he shoved her away. She stumbled away from him and collided into a pair of strong arms. When she realized it was the first man and he had her restrained against him, she screamed at the top of her lungs, her sole remaining defense. She struggled to free herself from him, but he tightened his hold to the point where she had no choice but to remain still. The second man swore and stomped over to her, hands clenched at his sides, his breathing heavy. “You’re not worth the trouble. We ought to leave her here to rot!” He motioned to the part of his hair where he was missing some hair. Surprised, she glanced at her closed fist and saw the big lump of hair in it. Cringing, she dropped the hair and shook her hands to free herself of the annoying strands. Like she wanted to hold on it. The second man glared at her and took the rope at his side and wrapped it around her wrists. She winced at the force he used. “If you keep it up, I’ll tan your hide,” the first man warned. The second man’s actions grew gentle, though he muttered something under his breath about obstinate women. Lillian glanced at Maggie who was being held the bandit who was still scanning the area around them. No one tied her hands together. No one mentioned wanting her. No. They wanted Charles Gray’s intended. “What are you going to do with me?” Lillian asked, directing her attention to the man holding her. At least he seemed nicer than the one knotting the ties around her wrists. He didn’t answer her. Instead, he led her to a horse another man was holding for him. She dug her heels into the ground, but since her boots weren’t suitable for the outdoors, one of her heels broke, causing her to stumble against him. She managed to regain her balance before he had to embrace her again. She really didn’t want anyone but her intended to hold her in such a familiar way, even if there was nothing romantic about it. Ignoring her question once again, the man lifted her as if she were no lighter than a feather and settled her on the saddle. When he touched her legs, she kicked at him, but he held them down to stop her from hurting him. “You have no right to touch me so intimately,” she hissed. Oh of all the liberties this man was taking with her when he had no right! Not seeing any other choice, she obeyed. He mounted the horse in one fluid movement, evidence that he was accustomed to riding it. She briefly noticed the way his body conformed to hers. Her face grew warm and tears stung her eyes. This was a disgrace. No man should be handling her like this. It just wasn’t right. She was a lady, not a whore. Lillian understood what she was saying. Neither one knew what would happen, and quite frankly, they didn’t want to explore the possibilities. “Did you give them the letter?” her abductor called out as he shifted behind her and wrapped his arm around her waist. She grimaced, hating the close proximity of this situation but worrying it would only get worse once he had her at his place…wherever that was. “Finally,” the second attacker grumbled as he heaved the trunk on a horse. She blinked back more tears, barely aware that the driver was calling out that the bandits wouldn’t get away with this or that a bandit let go of Maggie so he could hop up on his horse. The whole thing seemed like a blur. Suddenly the attackers were hustling around to get on their horses, and before she knew it, they were galloping away from the stagecoach. The man kept a firm grip on her waist to keep her steady, and she was so scared of riding such a large beast that she held onto the saddle horn with all her strength. She didn’t have time to look back at the stagecoach or even have time to contemplate her future. Whatever was going to happen, she just hoped she’d survive it. 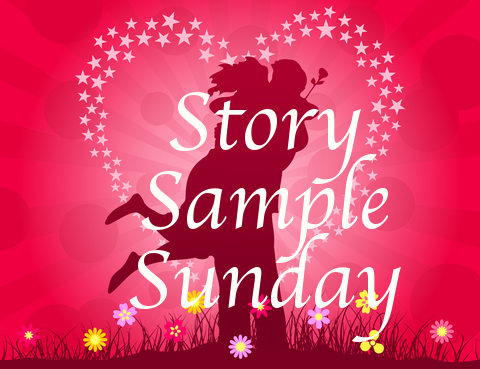 This entry was posted in Sunday Story Sample, The Stagecoach Bride. Bookmark the permalink. Thanks! It’s been a lot of fun to work on. I’m looking forward to seeing how it ends. 😀 I can’t be sure how things will turn out since Stephannie and I are winging this as it goes. This is intriguing. This is definitely a must read for me. I never know what is going to happen from one chapter to the next because I have to see what Stephannie does to see what I’ll do next. Love it! Can hardly wait till it’s done! Thanks! 😀 It’s a lot of fun to write.